Your brain is a playground. It’s a computer. It’s your security system. And it loves to collect data. 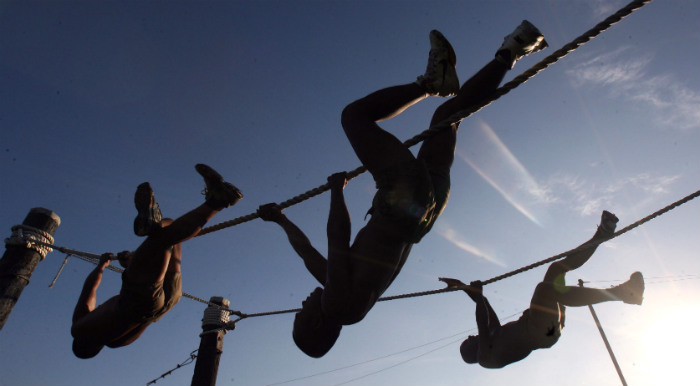 When you train, neurons activate and form new physical associations. Old neurons die and rebuild with flexible connections. People who understand the neuroscience of the brain can use it to their advantage in life and career. “The brain’s ability to change its plasticity is lifelong.” (UC San Francisco neuroscientist Michael M. Merzenich, Ph.D. Michael Merzenich: Growing evidence of brain plasticity, 2004, Ted Talk TED2004) Learning anything new, perfecting a skill, puts the brain in a “stressful” situation. It’s very similar to physical training. The rebound from experience allows the brain to toughen up and develop a new resiliency. Brain function increases. Your memory can become sharper. Your cognitive abilities grow. Task yourself beyond your comfort zone. Train your brain with physical exercise. Invoke the modern science of human physiology. Your prefrontal cortex is the CEO of your brain. If you have ever been curious as to how you make decisions, your prefrontal cortex is the hardware making it possible. It’s the control room where priorities, temptations, and wants to receive the go/no-go sign. It is where your habits reside. How Do You Benefit from Neuroscience Knowledge? Take points from other successful coaches. “Be a teacher first and a coach second.” John Wooden. Take your first step – activation. Make some determinations about yourself and what your purpose is. Find a source of knowledge. That might be a strength coach or someone in your family. Make sure they are objective and open to learning as well. Your goal is to understand your habits. Identify your “why.” Get clear on why you pursue your objectives. Recognize the routines you subscribe to that keep you trying as opposed to succeeding. Identify what you must do for yourself to become the type of person capable of greater success. A behavioral change is required for you to keep moving forward in your pursuits. Become conscious of your internal growth and the skills necessary to move towards an external expression of your growing mental strength. Activate. Attack your habit of comfort and realize the positive effects of exercise on the brain. Being forty years old has an impact athletically. If you are fifty or sixty, you must build brain health. You have lost flexibility and strength over the years. All physiological functions slow down as you age. If you’ve been active over the years since high school, you might be in a little better physical shape. Believe in the science. Exercise works to rejuvenate brain performance. You must see training as one goal with two targets. Prioritize. Merzenich goes on to inform us that if you don’t rejuvenate your mind, you have a 50% chance of being senile by age 85. You will understand the shocking reality if you find your car keys in the refrigerator. I recently reached into my jacket to grab my cell phone and pulled out the remote control for the TV. It’s time to add another workout session to my busy week. Your routine behaviors must congruent with your goals. Don’t lose it without a fight. Take positive steps in creating new practices knowing you can grow your mind. Do it now before you forget. If you are a party animal, the gym will appeal to your gregariousness. If you aren’t, then maybe your choice of individual training will work better. Regardless you must feel safe and believe training will work for you. You are building brain health. We live by our behaviors. We die by our beliefs. Training isn’t rocket science. It’s not pain and suffering. Creating new habits is the real work. Develop a working model of modern behaviors for anything that might be holding you back. If you are healthier and stronger, you’ll be more able to protect the ones you love. Think of your “why.” Include brain training in the picture. Physical exercise for brain training is a substantial reason. Find yourself involved in all manner of brain performance and brain health. Let the strength training do its job. Your task can be permitting yourself to stay motivated. Physically remodeling yourself is a choice. Behave towards new horizons without following the negative buzz on the Internet. Think about the ability to move and function better physically. Think of channeling stress into positive motion. Envision a more functional circumstance. See yourself in a crowd standing a little taller. Fit people are easy to find. We don’t need a Ph.D. to get motivated to invest time in useful activities. Develop a life of fascination. Train differently. Apply the lessons to your career. What if your perspective is cleaner? Your calling card says you are an individual. You listen. Your unique proposition expresses your motivations, knowledge, and follow-through. You have criteria and metrics that can be understood by anyone you meet. Through the new skills, you’ve worked to polish, and the personal presence you exude, those around you feel your intrinsic value. It’s a winning outcome. If you feel that training involves risk, we do risk well. You will grow in athletic prowess. Proper training is a skill. Fill your head with insights and knowledge. It’s human nature to analyze everything, but cool it a little bit. Learn for the sake of supporting your interests and curiosities. A good portion of your physical health is vested in keeping your brain engaged. Exercise does its part in the activation of your core neurology. Sleep is necessary and rejuvenates brain chemistry. Actively learning through study, reading, and indulging in abstraction keeps your brain plasticity youthful. Asking anyone to identify “why” in an area of life is invasive. It’s personal. But you must get on with the task. Activation means you made the first move with autonomy. You attended the webinar. You took a pro-active stance and physically moved to action. Then you created new priorities. Performance training must be one of your top priorities. Train hard and train for a reason. Form follows function. Logic follows concept. Less is more! Start Right! Finish Ahead! – Find a source, then expand your knowledge. Inspiration – action, action, action! Time – Activate your resource! Dan has been coaching high-performance people for a decade. He has created a physical program for busy professionals that is safe, fast, and focused on the strength necessary to move very well. You cannot move unless you are strong, and until you are strong cannot move. If you have the determination to train, train for a reason.